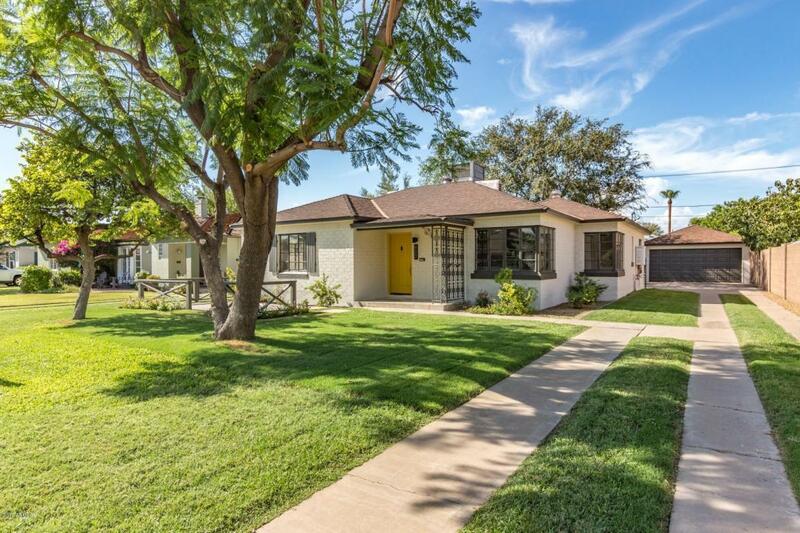 Highly coveted Willo Historic District! 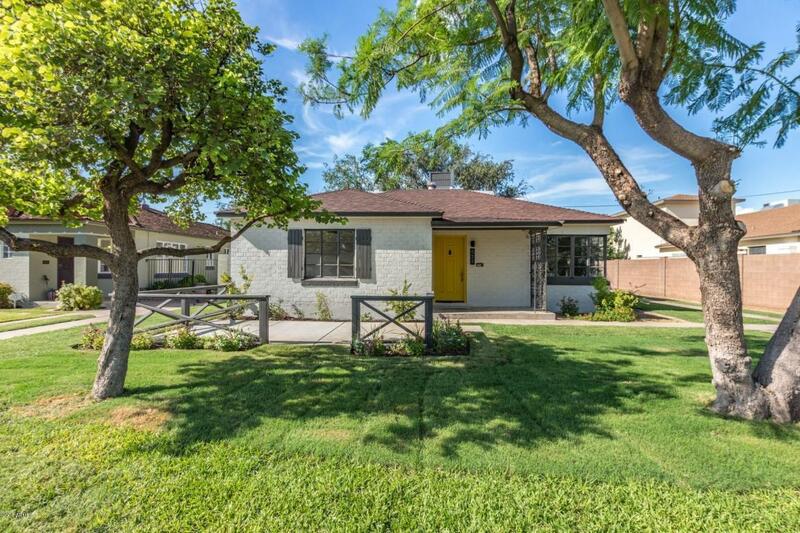 Character & charm in this modern remodel. Beautifully designed kitchen features quartz counters, white shaker cabinets,custom tile backsplash. Unique historic features throughout the home include coved ceilings, Crown molding & even the original milk door in the kitchen. Beautifully engineered hardwood flooring through the living areas, exposed brick accents at kitchen & bath. Designer light & plumbing fixtures throughout the open floorplan. Private master suite features a barn door to the master bath that includes designer tile & frameless glass shower.The front patio is where you can enjoy visiting with neighbors. 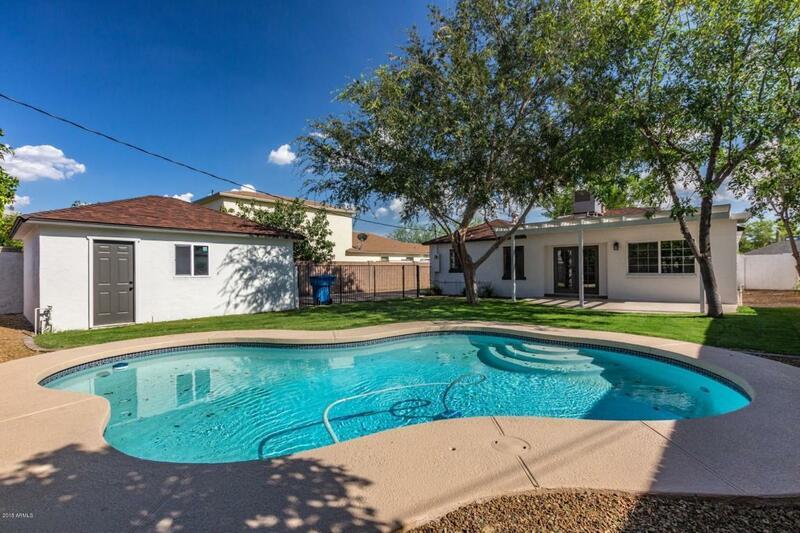 Gorgeous rear yard features a shady oversized lattice patio & freshly replastered pool. Continued on next page--Detached two car garage is a luxury in the area-would be an easy guest house conversion. It would be an easy guest house conversion. House Completely replumbed and new electrical throughout, all work was fully permitted. 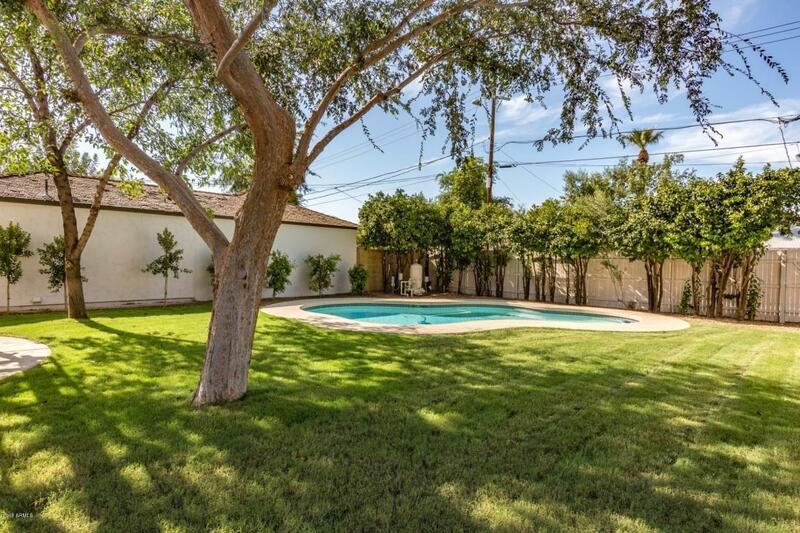 Convenient to downtown stadiums, arts district, light rail, restaurants and downtown campuses. Willo is calling, they want you as a neighbor! Listing courtesy of American Realty Brokers.